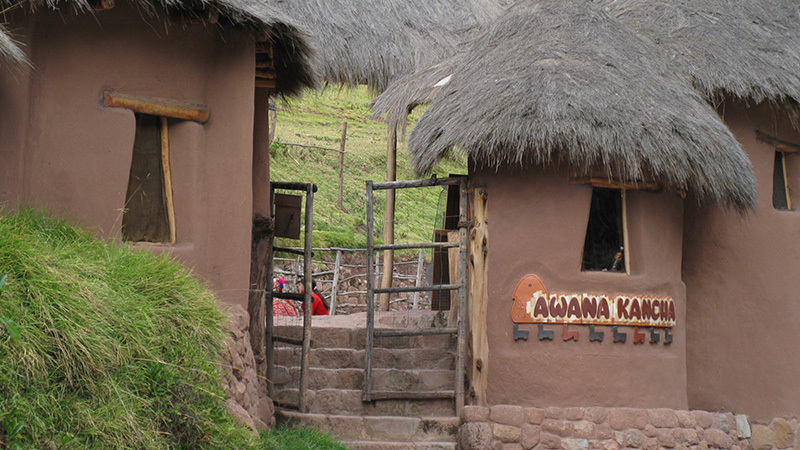 The Interpretation Center of the South American camelids was created in 2014, with the intention of making known to our visitors "in an interactive way" the history of the camelids, where and when they were domesticated, the types of animal fiber produced by each one of them, their participation in the evolution of Peruvian culture through cultural objects such as ceramics, metal and others typical of all the pre-Columbian cultures that interacted with them, etc. The tour is conducted by a specialized guide in English and Spanish. Awana Kancha guards 07 vicuñas, 02 guanacos, 24 alpacas and 12 llamas. Each of them in spaces designed and suitable especially for them. 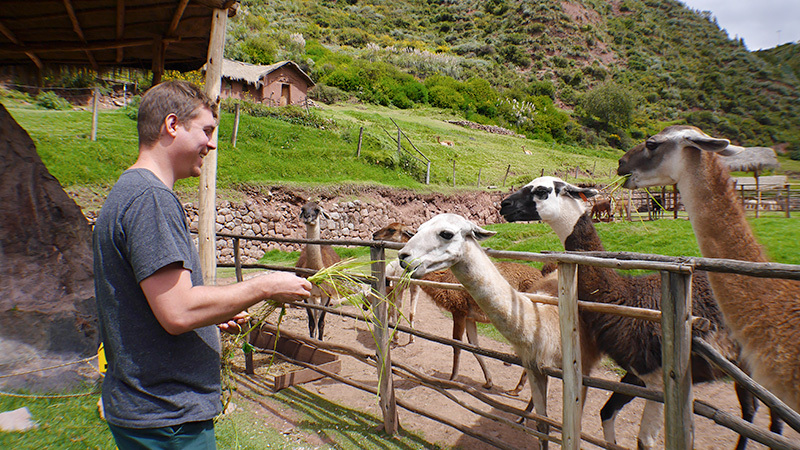 Vicunas and guanacos are not domesticated animals so that's why we make them live in open spaces of our property, while llamas and alpacas, being domesticated animals, are divided according to their variety, in different pens. This allows us to provide tourists and visitors, in general, the unique experience of knowing them, feeding them and even being able to sponsor them. 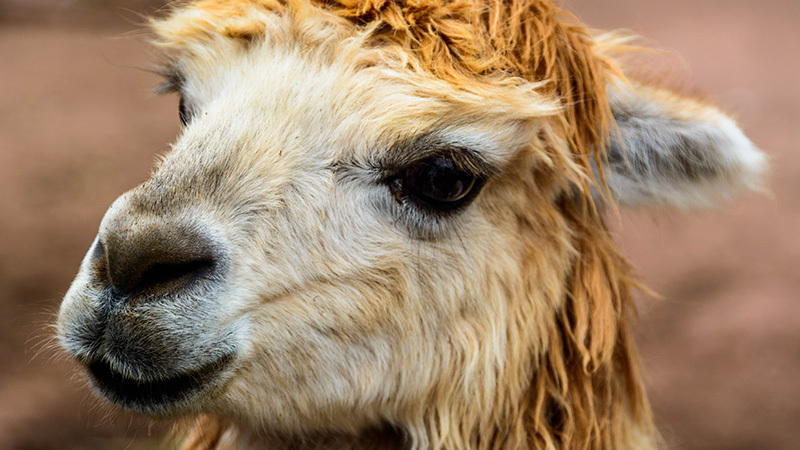 This facilitates the opportunity to know and differentiate each type of South American camelid, without the need to leave the city of Cusco. Awana Kancha is a tourist destination positioned for more than 15 years. The Textile Interpretation Center of Peruvian Textile was created in 2014, as another attraction, part of Awana Kancha as a space specialized in Peruvian textile development. Here is possible to appreciate and know the first archaeological evidence of textile found in Peru, the different types of fibers that are obtained from the South American camelids; the tools that are used in the artisan textile manufacture, the types of looms used by all the pre-Columbian cultures, etc. This space is conditioned to show the types of natural colors that are obtained from animal fibers, which in total are 22. You can observe the process of natural dyeing, using dyeing plants, minerals and others; it is possible to appreciate the differentiation between a natural tissue and artificial tissue, etc. 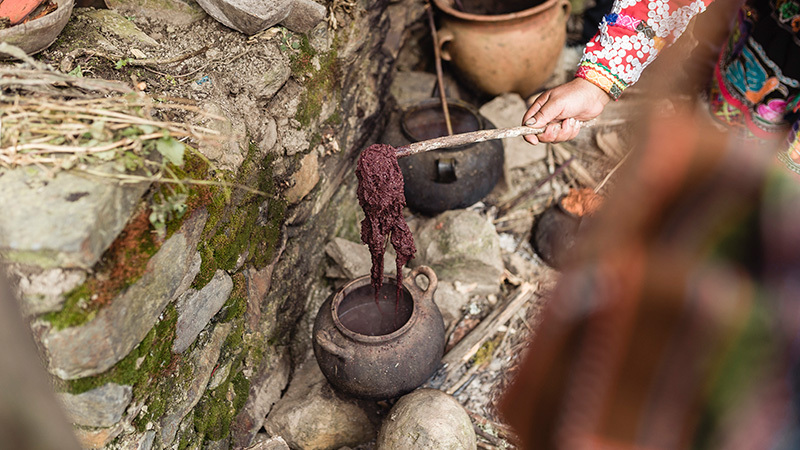 The visitor will be able to observe the original process for the dyeing used today by the high Andean communities. 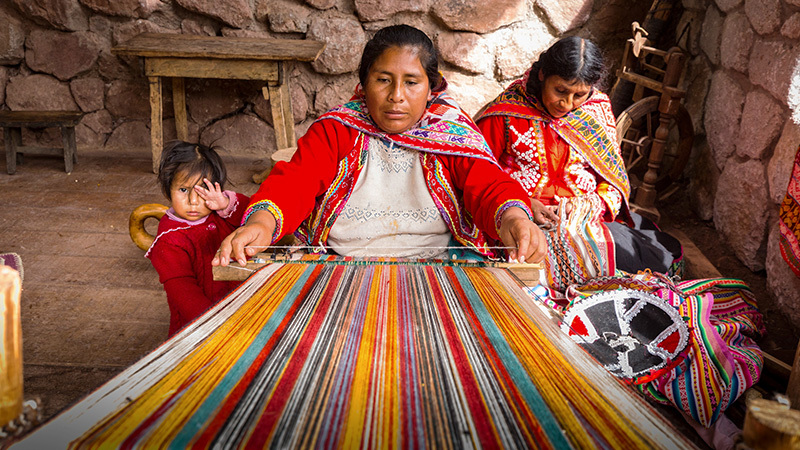 The artisan textile work is not only an activity referred to women; men and women from an early age also learn this trade. Awana Kancha, as part of the work of social responsibility, helps to promote the economic development of this activity, giving them a window of exposure so they can continue producing their crafts, which in turn can be purchased in our store; and so continue to maintain and spread our living culture. 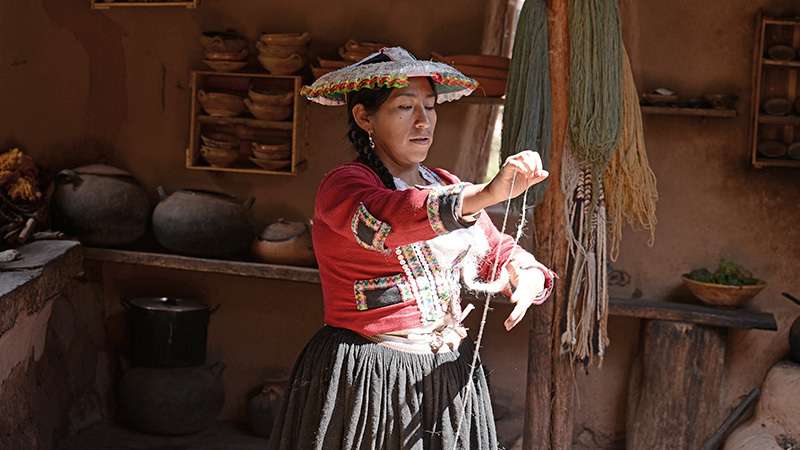 At the Awana Kancha store, the visitor can find the best textile expression of Cusco, manufactured in baby alpaca fiber. You can find ponchos, llicllas, tiqllas, runners, chullos, blankets, capes, quilts, etc.